When most people think of Oregon, they envision our beautiful evergreens, our scenic coastline, and probably, our reputed rain. But what many don’t realize is that Oregon is one of the most geologically diverse states in the U.S., boasting high deserts, pristine coastlines, redwood forests, volcanoes, and yes, that pretty Northwest rain. 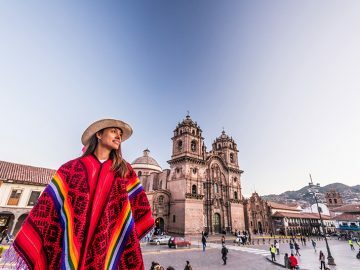 Ready to make the trip? 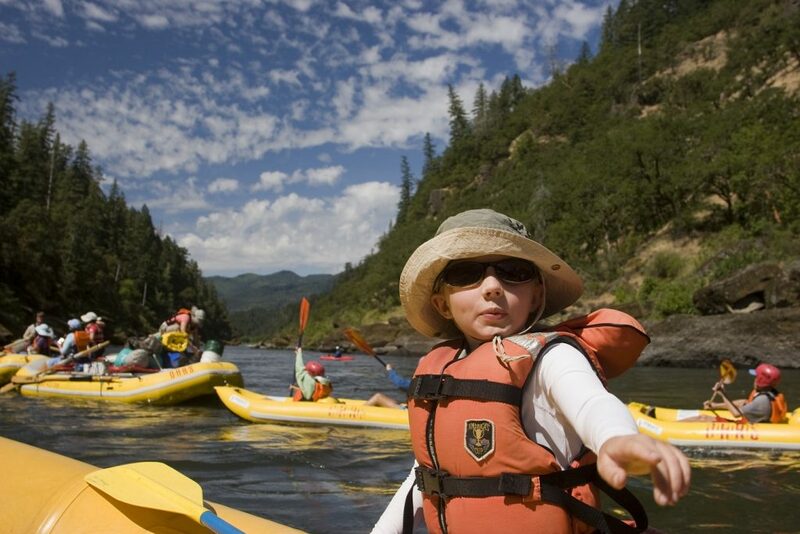 Oregon vacation ideas abound for adventurous families. 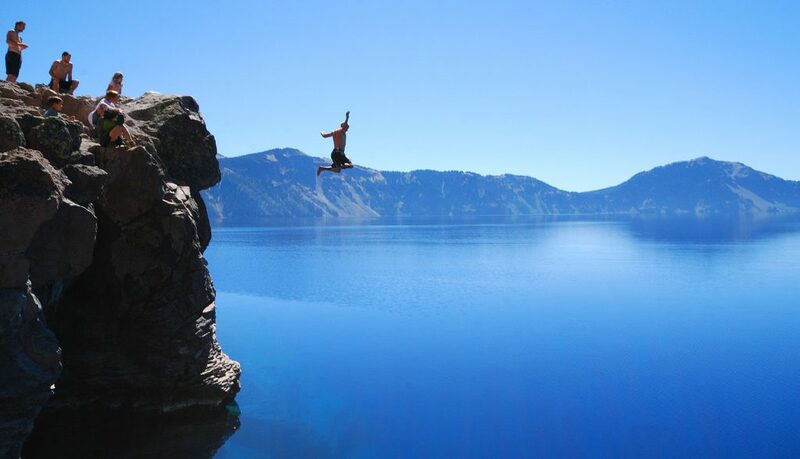 Swim in a crater: Crater Lake National Park shines like a jewel in the heart of Southern Oregon, where families can take a guided boat ride to Wizard Island, learn about the volcanic history of the park, and of course, leap into the stunning blue water. The only access point for the latter is the Cleetwood Cove Trail, which drops 700 feet to the water on a one mile trail. (Try) to hug a tree: Oregon’s Redwood Highway weaves from Grants Pass to the Oregon coast, dipping into several redwood grove forests both in Oregon and at the very tip of Northern California. Some of the best and least visited redwood hiking trails are along Oregon’s Chetco River, near Brookings. The Chetco River also offers great wading and swimming at Alfred Loeb State Park. Look for the day use area at the campground. 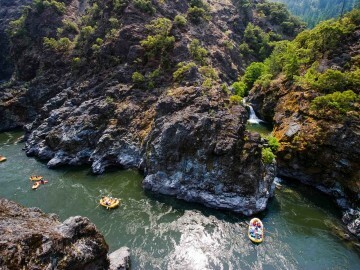 Raft the Rogue: Families looking for a no-hassle backcountry adventure can raft the Wild & Scenic section of the Rogue River in Southern Oregon, which winds over 45 miles toward the coast through pristine national forest lands. 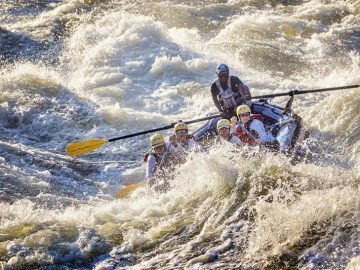 See the Rogue with an outfitter on a multi-day rafting trip, which includes Class II-IV rapids, excellent jumping rocks, sandy beaches, and waterfall hikes galore. Drive Highway 101: Follow one of the country’s most scenic highways all the way through Oregon as you explore charming coastal towns, state parks and beaches. Highlights include Coos Bay at beautiful Sunset Bay State Park, Bandon-by-the-Sea, the Oregon sand dunes, where you can rent sand boards for the day to try your skills, and Cannon Beach. Find roadside produce stands, cranberry bogs, and any number of small town summer festivals en route. 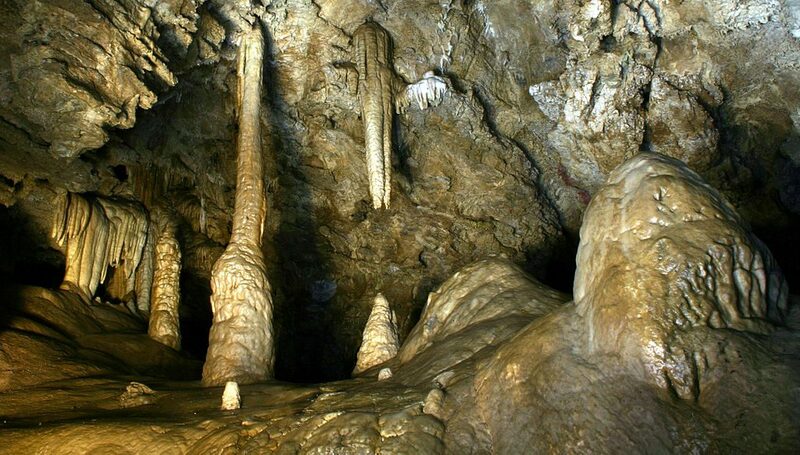 Go spelunking: The Oregon Caves in Southern Oregon sit just outside the town of Cave Junction; families can sleep in the historic lodge, or nearby, at Out ’n About Treesort…that’s right: sleep in a treehouse! Exploring the caves takes only a few hours with guided tours departing regularly throughout the summer. Mountain bike on a volcano (or two): Families have their pick of volcanoes to explore in Oregon, from Mt. McLoughlin to the south to Mt. Hood to the north. At the latter, rent mountain bikes for the day or weekend at Mt. Hood Ski Bowl, which also hosts an extravaganza of summer fun in the form of mini-golf, go-karts, and trampolines in pretty Government Camp, just an hour outside of Portland. 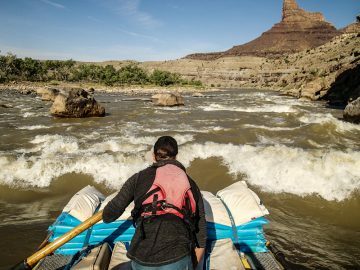 Kayak the cascades: In winter, Central Oregon’s dry, clear weather in the Cascade mountain range provides storied skiing and snowboarding, but in the summer, blue skies continue to abound in the high desert. 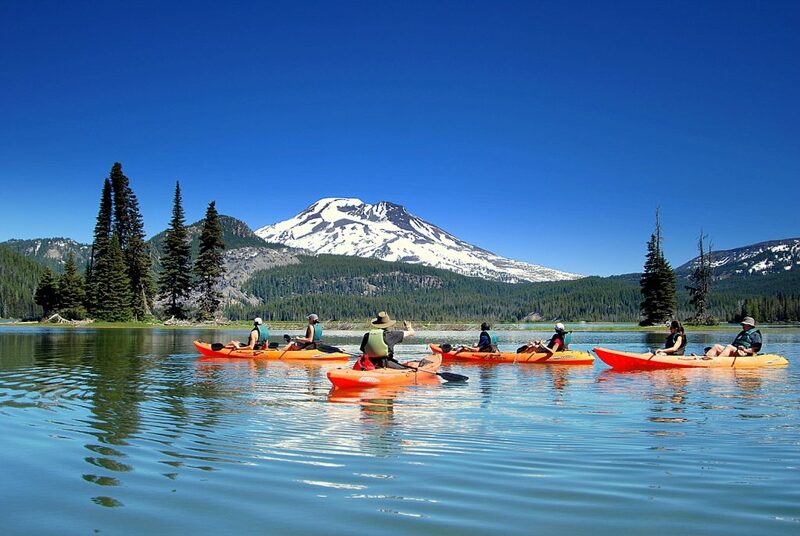 The Cascade Lakes provide calm, largely untouched waters to explore, whether you bring your own kayaks, rent them in Bend, or go with an outfitter like Wanderlust Tours. Become a ranch hand: Explore an Oregon few visitors see in the remote south-central area of the state. At Aspen Ridge Resort, families can help with the ranch chores, learn to round up cattle, go horseback riding or just sit on the deck of their cabin, taking in the endless mountain views. Adding to the outdoor activities, there are also on-site hiking and biking trails, plus a resort lake for swimming and fishing, as well as ample outdoor activities in the nearby Gearhart Wilderness. 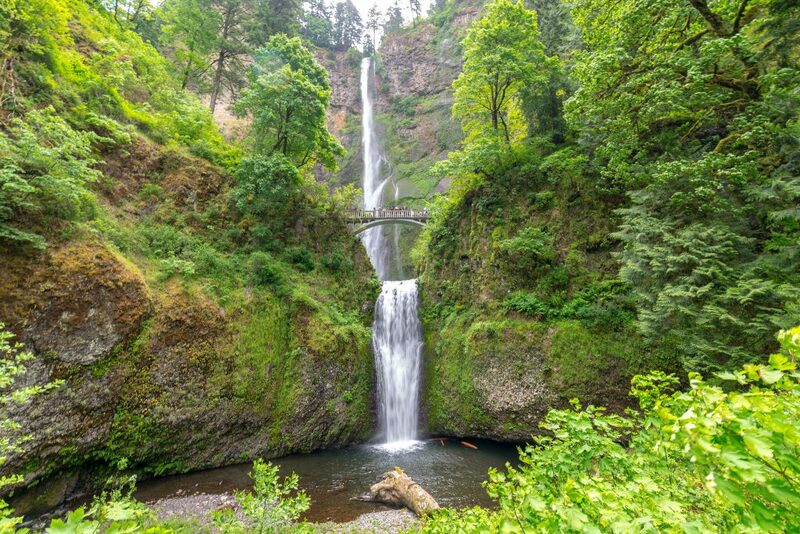 Explore a gorge: The Columbia River Gorge National Scenic Area includes historic driving routes, hiking trails to waterfalls*, access to the Pacific Crest Trail, dam tours, and more. Start in Portland and end in scenic Hood River, where parents may want to try a brewery or cider trail and kids can pick farm fresh produce or cycle in the shadow of snowy Mt. Hood. *Check current conditions. Some hiking trails in the Columbia River Gorge may be closed until spring 2018 due to the recent Eagle Creek fire.